On December 1st, 2018 the Winchester Heights community added oak trees to their new playground. 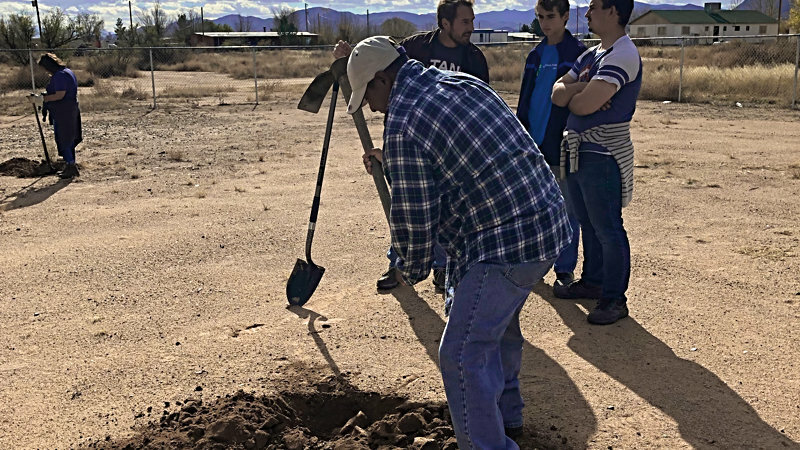 Members of the Willcox Rotary Club, led by Rotary Club President Peggy Judd worked with Winchester Heights community residents on the project. 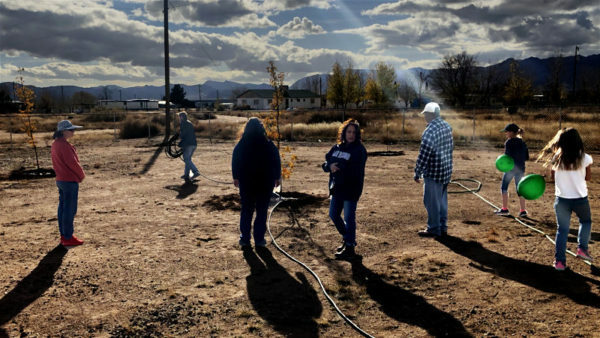 They planted eight trees and set up an irrigation system in the “We Heart Children” Children’s Memorial Park. Five oak trees and the irrigation system were donated by the Rotary Club. Community residents contributed the other three trees. Community members came together to plan where the trees would be planted and helped with the tree-planting. At the same time, members of the Winchester Community Action Board (CAB) held a fundraiser to purchase a swing set for the Memorial Park. CAB members donated their own home-cooked tamales, burritos and nachos to raise funds. Through their hard work, they were able to raise over $270, including a $50 donation from the Rotary Club! 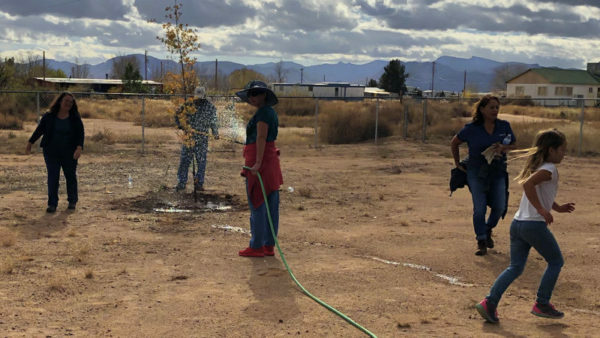 Many people who attended the fundraiser voiced their excitement when seeing the trees, imagining the lovely time they will spend under the shade once they grow larger. Peggy Judd stated, “I am so glad we could do this for the community.” The park now has more life with these trees and will become a more beautiful and comfortable space for the community as it grows. SEAHEC and members of Winchester Heights are grateful to the Rotary Club for their wonderful contribution to the community center!